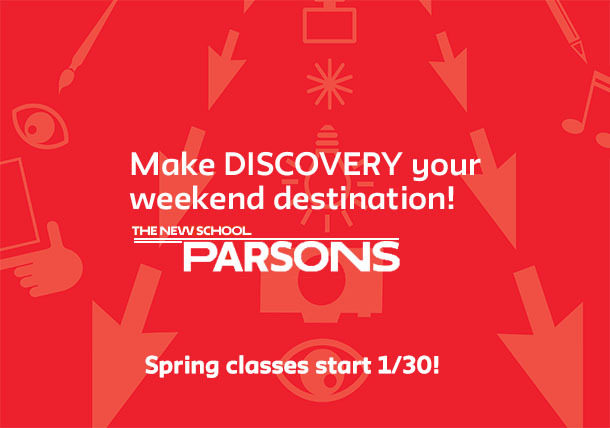 Parsons School of Design, recently ranked the top art and design school in the country, offers Pre-College Academy programs that meet on Saturday mornings in the Spring and Fall. There’s still time to secure you’re spot for Spring classes beginning on January 30th in subjects including animation, fashion design, graphic design, interior design, drawing, painting, cartooning, photography and portfolio development. Students in grades 9-12 who want more intensive art and design study–including developing a portfolio for college admission–can take courses exploring subjects like architecture and interior design, fashion and accessory design, painting, drawing, and coding and game design. Stay tuned for more info on summer programs for young artists, writers, filmmakers and more. If you want a head start, check out all of our summer programs at newschool.edu/summer. The 2016 NYC Scholastic Awards Results Are Here!